panels and performance featuring Gina Apostol, Luis Francia, Ralph Pena, Edwin Ramoran, Ninotchka Rosca and more. 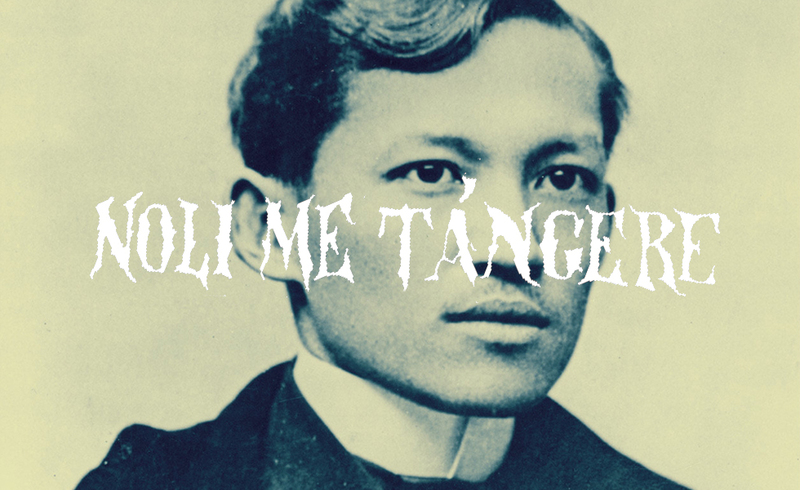 A panel discussion looking at the impact of Noli Me Tangere today on politics, activism, music and more. Featuring presentations by Gina Apostol, Luis Francia, Emil McGloin, Ninotchka Rosca and more. A dramatic presentation of the first three chapters of Noli Me Tangere directed by Ralph Pena. [Cast details to come]. 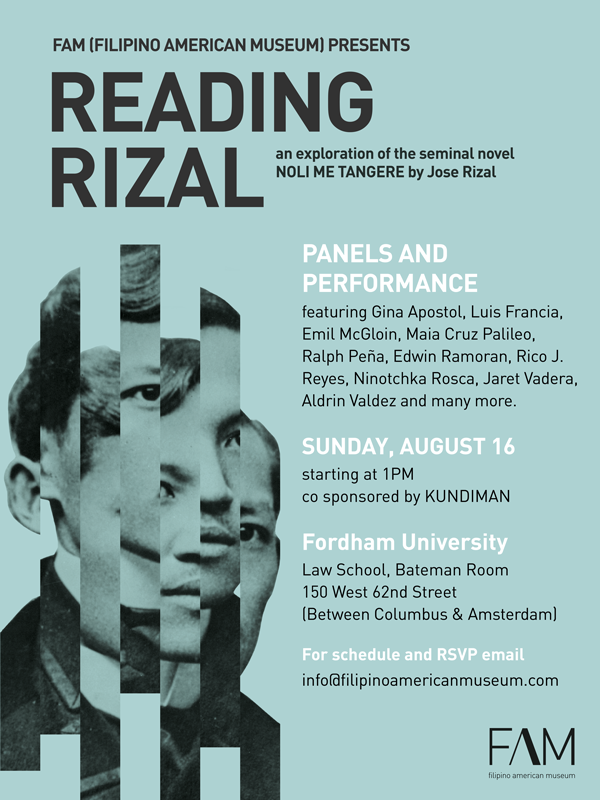 Roundtable: ”Knowledge maketh a bloody entrance”: An Intersection of Visual Art and Literature | Luna and Rizal. This round table discussion will explore how the major painting Spoliarium by Juan Luna influenced Jose Rizal’s writing of Noli Me Tangere. This is an opportunity to introduce the painting as an important Philippine cultural treasure and present the forthcoming exhibition Spoliarium being organized by the Filipino American Museum. Panelists include discussant/presenter Edwin Ramoran, curator, and NYC-based artists Maia Cruz Palileo, Rico J. Reyes, Jaret Vadera and Aldrin Valdez.